Part of the Panic! It’s an arts emergency project, and funded by the AHRC, this report brings together datasets from the ONS, as well as primary research via a survey. 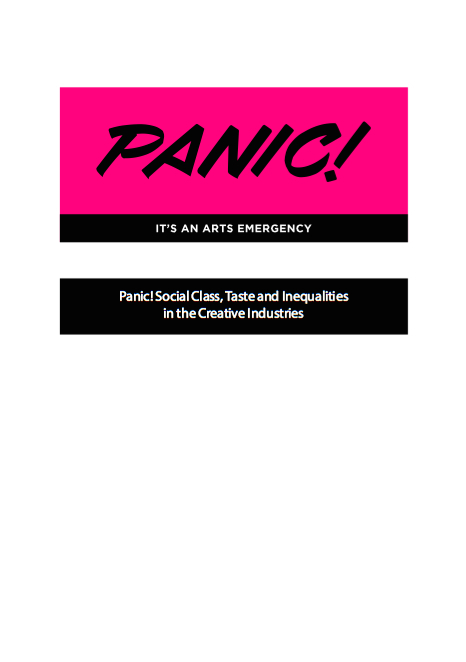 Demonstrates that the creative industries sector is marked by significant inequalities in the workforce and most particularly, presents multiple barriers to entry from those with a working class background, as well as BAME people and women. Very interesting and nuanced analysis of attitudes of those already successful in the sector; and the likely consequences of those attitudes.